China is the biggest touristic market in terms of flows and expenditure on overseas markets. European destinations have indeed reinforced their position towards this direction, attracting far about 10 million visitors during the whole 2016, more or less the 11% of the total of Chinese tourists in the world. In this sense the year 2018 has been declared the “Chine-Europe touristic year”, as announced by the European Commission’s President, Jean Claude Junker. During the whole 2018 a great focus will be dedicated to the raising attention around the Chinese market, which sees evolving and changing the behaviour of his tourist. European Travel Commission (ETC) looks ahead for the cooperation with the European Commission and other stakeholders of the sector in Europe, to be sure to convert this opportunity in a big success. 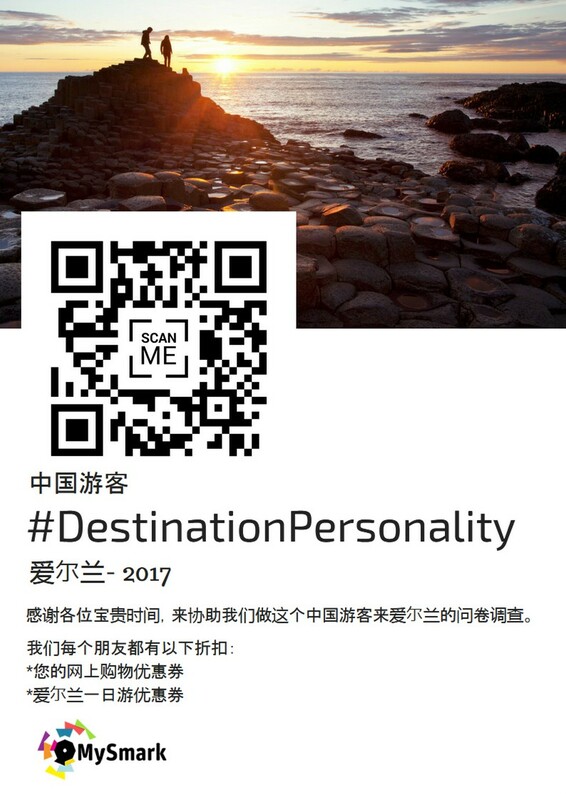 B-sm@rk seized this opportunity starting a new project of #DestinationPersonality related to Chinese tourists visiting Ireland. For this project, on which we will work during the whole 2017, some partnerships have been established with important actors in Ireland, like for example Tourism Ireland, Failte Ireland and Maynooth University. Destination and Brand Personality is a research project whose purpose consists in analyzing the identity and the image of a place, or a brand, to better understand how much a visitor or a customer can identify his personality with that, feeling satisfied by a high value personal experience, and developing revisiting and promoting intention of the place/brand through his personal network. Numerous studies and researches confirm how the fitter the place to the personality of the customer the higher the satisfaction he can perceive from the experience. Therefore, the analysis of Brand and Destination Personality is very useful to innovate and to improve the value of the travel and user experience, developing in this way targeted measures to give specific advices about a particular experience, a place or a brand to a specific target of customers.